We are thrilled to be included in another Top List of Design Leaders! 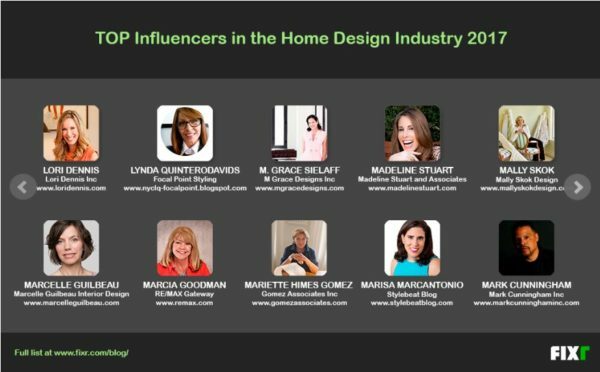 Lori Dennis, Inc. has been included in the Top 200 Home Design Influencers, by Fixr Blog. Influencers from around the country were chosen as they are at the forefront of design, selecting colors, materials, designs and styles that put the trends in motion. Other fantastic designers on this list include Barbara Barry, Bunny Williams, Charlotte Moss, Cliff Fong, David Phoenix, Jamie Drake, Jeff Andrews, Kathryn Ireland, Kelly Wearstler, Madeline Stuart, Mary McDonald, Martyn Lawrence-Bullard, Michael S. Smith, Miles Redd, Paloma Contreras, Rose Tarlow, Suzanne Kasler, Timothy Corrigan, Vicente Wolf and many others.